Want to know what’s coming up on Chicago Fire season 6 episode 20? There are many interesting things about this episode … with some of them involving Bria. Remember her from earlier this season? She connected with Casey, Dawson, and Severide, and the three of them did their best to help her deal with a very difficult situation. 04/26/2018 (10:00PM – 11:00PM) (Thursday) : After saving a girl from a car accident, Chief Boden and Lt. Severide are taken aback when they receive a surprise package. Brett struggles to keep quiet about Cruz reacquainting with his now-married high school sweetheart and Otis tackles his next challenge. A crisis brings Bria (guest star Quinn Cooke) back into Dawson’s life. Beyond what’s happening with Bria, it feels pretty clear that there are a few other things here of note. For starters, it looks as though Otis is going to be committed to his recovery! While we don’t exactly love the Cordova character, we’ve also got a feeling that we weren’t meant to. He’s a heel and he’s probably going to cause some problems — especially for Dawson, given their history. The longer that the writers take on Otis’ recovery and getting him back to being the awesome character that he was, the more exciting that it’s going to be in the end when he does return (provided of course he does). When that happens, then Otis can take his rightful place; as for Cordova, we’re sure that there will be some fans waiting to boo him out the door right now. Meanwhile, what we’re interested in seeing with Cruz and his high school sweetheart is that it could offer up somewhat of a role reversal for him and Brett. Earlier this season, for example, Cruz fretted to a great degree over Brett and her possible relationship with Antonio — he had a grudge against Intelligence because of what happened to Leon, but he also still harbored feelings for Sylvie. While we’re not entirely sure that Brett feels the same about Cruz romantically as she once did, she obviously still cares about him and doesn’t want to see him hurt. this could end up being a rather hurtful situation for her. As for the surprise package that Otis and Boden are receiving, let’s just hope that it’s different from the packages that were in the Chicago PD crossover earlier this season. 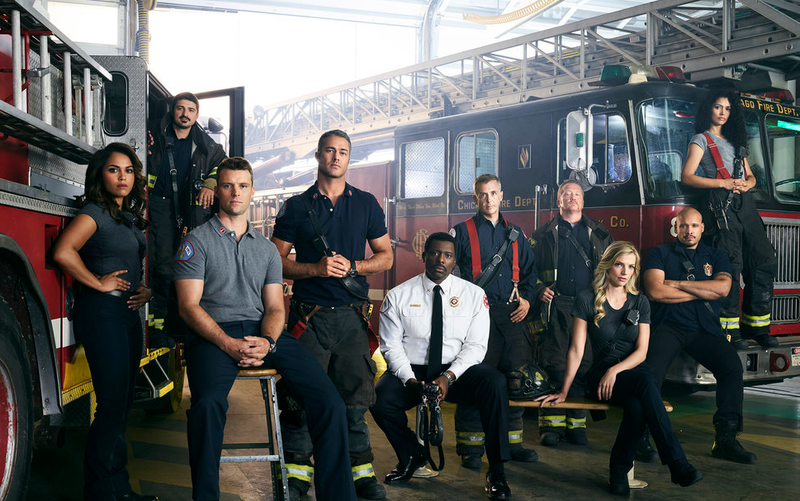 What do you think about Chicago Fire season 6 episode 20 on paper and what are you the most interested in seeing? Share now in the comments!